Cento Laghi Park is managed by the Managing Authority for the Parks and Biodiversity – Western Emilia ”I Parchi del Ducato” and lies in an area of about 12.600 ettari in the lands of two councils, Corniglio and Monchio delle Corti, in the province of Parma. 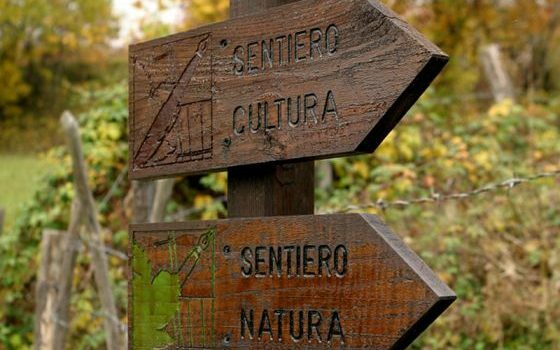 The presence of different altimetric levels in the Park (ranging between 400 and 1,650 m above sea level) guarantees a noteworthy variety of environments and a high level of biodiversity. A still intact environment, where nature combines with human life to originate the agricultural-food excellences that are well-known all over the world, such as the PDO Parmigiano Reggiano and the PDO Prosciutto di Parma. A welcoming “middle-earth” between the big cities of the Po Valley and the isolated and wild ridge between Tuscany and Emilia. The glaciers of the valleys crossed by the rivers Parma and Cedra have modelled the territory leaving evident traces as glacial circuses and morainic drifts. The majority of the lakes in the park has been formed by the glacier. At the highest altitudes (from 1500 to 1800 meters) we can find rocky environments and the moors, the peat-bogs and the glacial lakes. At lower heights we can wander among woods mostly of beeches scattered by many brooks, pastures and meadows. Among the flowers there are many protected and rare species, as the Primula of the Appennines. Among the fishing there is the alpine chars of the Lago Santo. Amongst the mammals we can find the wolf and the martens apart from many ungulates as the roe deer and the wild boar. The eagle and the regal owl are the most rapresentative predatories.